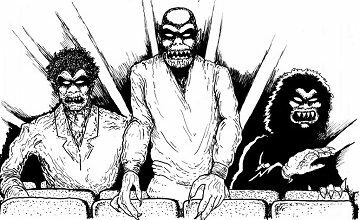 On this episode of the Really Awful Movies Podcast, a by no means rigorous semi-defense of the popcorn muncher/crowd pleasure Death Wish. Co-host Chris, explains his surprising positive review of the reboot in a discussion with Jeff (who has not seen the Death Wish remake). Usually, we both watch a movie and discuss it. This time, Jeff was off hanging out with legendary rock stars in New York City (you’ll have to guess which one as we’re not disclosing it) and wasn’t able to catch the film on the big screen. Doesn’t matter. We talk Eli Roth, easily the…um….4th best “Roth” after rocker David Lee, author Philip, actor Tim…so yeah. Jeff is not big on Eli, Chris is wholly indifferent but not AS down on him. 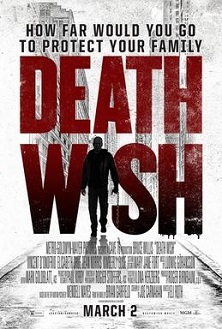 Death Wish (the 1974 original) we hold in very high regard. The tale of a quiet, introspective family man-turned-vigilante was polarizing, but ultimately a pretty intriguing and interesting (not to mention action-packed) offering. In the Death Wish remake, Paul Kersey is no longer an architect…he’s an ER doctor. Is this a good or bad deviation from the original? We discuss…. Also, the 2nd Amendment? Yay? (Chris) or nay? (Jeff). We talk about Bruce Willis, our love…you could say our die-hard love-affair with his body of work…and the political climate for the release of a movie that unabashedly champions guns. And finally, your genial hosts talk about their relationship with CryptTV, a co-venture of Roth’s that is a social media site meant to bring together horror lovers from across the globe. Does it? Lots to discuss on this episode of the Really Awful Movies Podcast.